The Asian Attractions Expo 2018(AAE 2018) will take place at the Hong Kong convention centre from the 5th to the 8th of June 2018, and will bring together attractions industry professionals from around the globe to discover new ways to think creatively,learn form industry experts and to be inspired. The conference will be held by the International Association of Amusement Parks and Attractions (IAAPA). There will be fifteen general education sessions, where attendees can learn about a wider range of subjects centered around operating a successful attraction. These include: facility operations,human resources management, crisis communications, guest experience design, and more. All participants can receive eight credit hours towards IAAPA Certification, the official mark of professional achievement in the global attractions industry. There’s also a number of professional development programs taking place before the expo, for those want to learn more. The IAAPA Institute for Attractions managers is designed for individuals with five or fewer years of experience in attractions management, and takes place from the 3th to the 5th of June. It covers finance, marketing, leadership, facility operations, safety and revenue operations. The IAAPA Safety Institute focuses on the best practices and latest developments in ride safety standards, loss prevention, risk management, ride design and safety compliance It runs on the 5th of June. A separate forum will also run on June 5,entitled Animal Welfare: Trends, Issues and Strategies. Speakers include Jim Hekkers, Former Managing Director, Monterey Bay Aquarium, Suzanne Gendron, Executive Director Zoological Operations, Conservation and Education, Ocean Park, and Ted Molter, Marketing Officer, San Diego Zoo Global and IAAPA Zoo and Aquarium Committee Chair. The forum will focus on the issues, perceptions, and trends facing attractions and facilities with animals. 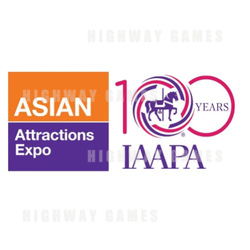 More information about the expo can be found on the IAAPA website.